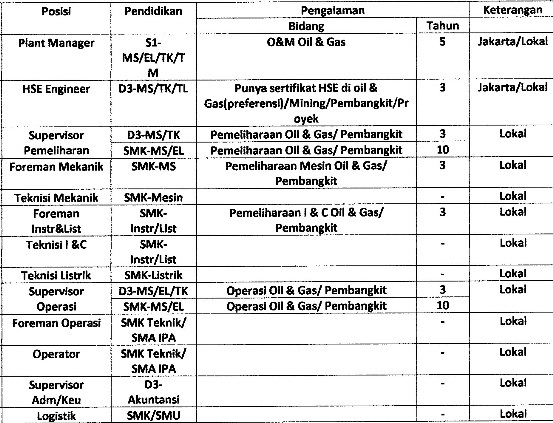 Lowongan PT PLN Enjiniring – PT PLN ENJINIRING is a subsidiary of PT PLN (Persero), established in October 3, 2002 as Engineering Consultancy Company based on Notary Decree No. 9/2003. Pengiriman lamaran dibuka sampai dengan tanggal 2 November 2015. Jobelist.com - Powered by wordpress - 18 queries. 1.615 seconds.